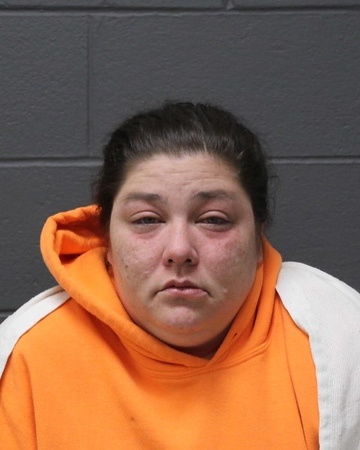 SOUTHINGTON - A Meriden woman accused of stealing a credit card while working in Southington as a home caregiver is expected to be charged with violating her probation. Jessica Hayes, 35, appeared Wednesday in Bristol Superior Court, where a judge said he has signed a warrant for her arrest. Court officials at the hearing said she is on probation for a prior larceny conviction. Hayes, who is being held on $5,000 bond, is due back in court on April 25, when she is expected to face her probation violation charge. She was arrested in March and accused of stealing a new credit card that was mailed to the victim. She then allegedly used it to rack up more than $500 in purchases and withdrawals, according to police. At the time, Hayes was serving as a caregiver for the victim. Police said she used the card - which the victim didn’t know had come in the mail - eleven times between Nov. 27 and Feb. 19. The $582 reported missing was a combination of purchases and cash withdrawals, police said. Hayes faces charges of sixth-degree larceny, criminal impersonation, illegal use of a credit card, receiving stolen goods from use of a stolen credit card and credit card theft. At a previous hearing, state prosecutors said Hayes is a suspect in other police investigations. Posted in New Britain Herald, Southington Herald on Wednesday, 11 April 2018 16:52. Updated: Wednesday, 11 April 2018 16:55.